Malaysia is studying the possibility of establishing a free-trade agreement (FTA) with Brazil, International Trade and Industry Ministry Secretary-General Datuk Seri J Jayasiri said. He said the only stumbling block for such an agreement to come into fruition was Brazil participation in the four-country South American trade bloc, known as Mercosur, which prevented the country from having an FTA as an individual country. "However, that doesn’t prevent us from studying the possibility of having an FTA with Brazil," he told reporters after the inauguration of the Malaysia-Brazil Business Council (MBBC) here today. Currently, among the South American countries, only Chile, which a non-Mercosur country, has an FTA with Malaysia, while Peru and Mexico (also non-Mercosur countries) would also be in the list once the Comprehensive and Progressive Trans-Pacific Partnership Agreement (CPTPPA) is signed. Earlier, International Trade and Industry Minister Datuk Seri Mustapa Mohamed, in his speech, said Brazil remained as one of Malaysia’s major trading partners in South America. 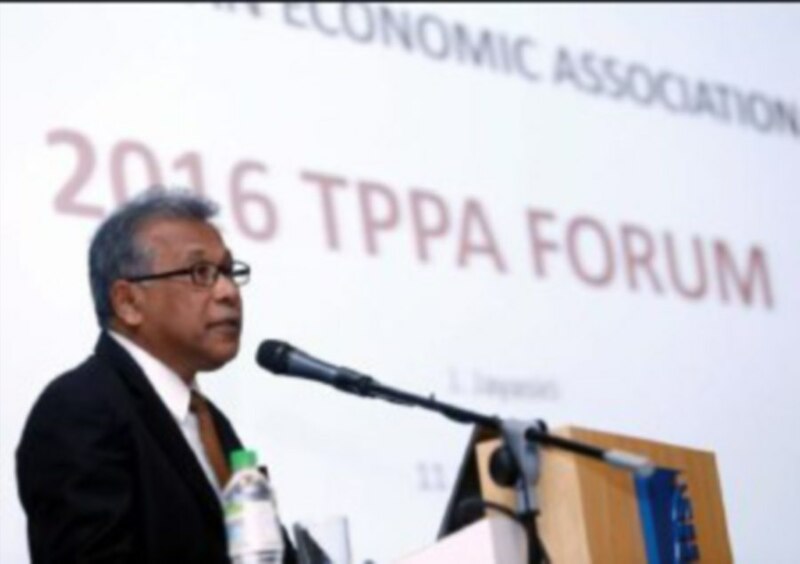 "Last year, Malaysia’s total trade with Brazil grew 11.5 per cent to RM12.71 billion with exports to Brazil registering a growth of 24.2 per cent to RM3.66 billion," he said. His speech was read by Jayasiri. Mustapa said Brazil’s invesment in Malaysia totalled over US$1.4 billion (US$1=RM3.88), mainly in the mining and processed food sectors. He added that Malaysian companies had also made significant footprints in Brazil, particularly in the construction, oil and gas, as well as the rubber gloves industries with investments over US$3.6 billion. On the MBBC establishment, he said the council would gain the stature of being the only active business council affiliated with South America in Malaysia. "Being among the world’s top 25 exporting nations, Malaysia is constantly on the lookout for new markets and opportunities to diversify its products. "We also want partnership that bring in foreign direct investment," he said. The council currently has 13 members with presence in both countries. Among its members from Malaysia are Sapura Energy Bhd, Petronas, Scomi Group Bhd, Supermax, Binwani’s Fashion Group, TTH Dynamics Sdn Bhd and UniKL, while that of Brazil, include Vale, WEG, Onefoods ,and Marfrig Global Foods, Marcopolo.